Typically when you go to a grocery and see the grapes on display there are only three things you see: red, green, and black. But grapes are so much more than just a color. Most grapes that you buy that come just with a color label are just balls of sugar water, without a lot of distinctive flavor. But there are grapes on the market that you can buy that also pack a punch when it comes to flavor. Champagne grapes are one of those varieties. As you may have noticed from the picture these grapes are smaller than your average grape. They are also very tightly clustered. Now if you want to buy this grape in hopes of making your own champagne I am sure you would be disappointed with the results as the name champagne grapes is just a marketing term (courtesy of Fazio marketing). These grapes would make lousy champagne. The original name of these grapes is Corinth. 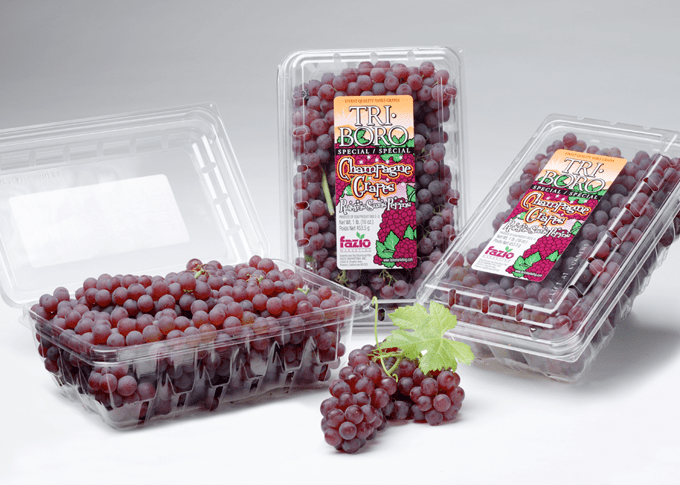 You may have seen the dried version of these grapes listed under the name dried currants or Zante currants. Problem with that name is that currents are a completely different fruit. The name most likely came from a mispronunciation of Corinth. Overall Feeling: These are wonderful grapes, I love their flavor. My 2 year old daughter loved them as well, she called them “baby grapes”. They are really easy to eat and may a wonderful snack. You could also use them in a salad as a sweet addition. Availability: These grapes have a short season, so you need to scoup them up when you got the chance. I bought mine at Whole Foods and they said indicate they won’t have them very long. I also saw them at the Meijer in Ann Arbor as well as Produce Station and Plum Market in Ann Arbor. You can buy them beginning in July and through the month of August. You can find them year round in their dried form, labeled as Zante currants . You can find them in Sun Maid boxes or in your store’s bulk food section. Previous Post: « Q&A : When to Plant Broccoli for the Fall?